Allen County Centennial Commission, Inc. Allen County's Prairie, Cavalcade, Centennial Souvenir Program. 100 Years of Allen County History. N.p. : Allen County Centennial Commission, n.d. (K/978.1/-AL5/AL5). Allen County Historical Society. Tales of Early Allen County. Iola, KS: Allen County Historical Society, 1966. (K/978.1/-AL5/Pam.v.1/no. 6). ________. Life Is So Daily: Changing Views of Housework. N.p. : 1985. (SP/906/K13/Pam. v. 10/no. 24). Bennett, N. June. Through the Years: Savonburg and Environs. North Newton, KS: Mennonite Press, 1983. (K/978.1/-Al5/Pam.v.1/no. 9). "Centennial Historical Edition," Iola Register (Daily). May 30, 1955. [68 pp.]. (Microfilm reel: I 317). "Centennial Section," Humboldt Union. May 26, 1955. [8 pp.]. (Microfilm reel: H 1981). Choguill, Genevieve L., & Harold S. Choguill. A History of the Humboldt, Kansas, Community; 1855-1988. Newton: Mennonite Press, 1988. (K/978.l/-AL5/H881). Duncan, Lew Wallace, & Charles F. Scott, eds. History of Allen & Woodson Counties, Kansas. Iola, KS: Iola Register, 1901. (Microfilm reel: LM 412, no. 1). Fisk, Ephraim. "First Settlement of Geneva, Allen County." Kansas Historical Collections. 2 (1875-1880): 234-235. (SP/906/K13/v. 1-2/p. 234). Haen, Michael Edward. The Boom Years of Iola, Kansas: 1896-1907. Master's thesis, Kansas State University, 1968. (K/978.1/-Al5/H118). Kansas State Historical Society. 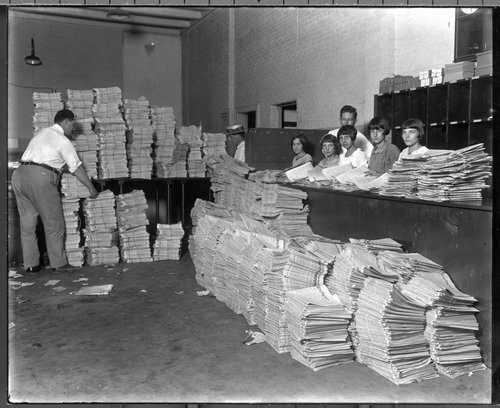 Allen County Clippings, 1875-1995. (4 vols.). Topeka, KS: KSHS, n.d. (K/978.1/-AL5/Clipp./v.1-4). Lynn, Mickey. A Pictorial History of Allen County 1855-1991. Marceline, MO: Heritage House Publishing, 1991. (K/978.1/-AL5/L993). Miller, Alice Mabie. The Geneva Settlement: A History. Alva, OK: Woods County News, 1972. (K/978.1/-AL5/G286). Scott, Angelo Cyrus. A Boyhood in Old Carlyle. Iola, KS: Iola Register, 1940. (K/B/Sco84). Toland, David C. Time Line of Allen County, Kansas (1803-1992). Iola, KS: Author, 1992. (K/978.1/-AL5/Pam.v.1/no. 11).